Identity theft is increasingly becoming a world-wide problem, mostly due to advanced communications network provided by the Internet. Whereas years ago identity theft mostly took the form of impersonation with forged documents, in today's world, identity theft can be done impersonally, from miles away. What forms of identity theft protection, then, would be effective at actually discouraging and preventing acts of identity theft? The answer is not what most would like to hear, unfortunately. The best identity theft protection system is simply avoiding identification of one's self on the communication networks that allow for identity theft. The less identification of one's self that is accessible in the world--albeit mostly via the Internet--the less likely it is that one's identity will be stolen. But obviously, this form of identity theft protection is less an actual kind of protection, and more a kind of prevention through avoidance, and may not be viable for any number of people. After all, to use any of the more basic functions of the Internet, you often must provide some form of identification. To avoid all such identification for the sake of identity theft protection would be impractical, if not all together impossible. There are some services specifically oriented towards identity theft protection, claiming that they will prevent anyone from stealing your identity to use for identity fraud, or that they will quickly detect such theft and fix the problem. While such services certainly sound useful and desirable, the unfortunate problem is that the efficacy of these sources remain in question. Many rely on credit-report monitoring, which can sometimes be effective in discovering if a new account has been opened in your name by someone who has stolen your identity. But for discovering charges being made on an account that you have legitimately opened, credit-monitoring is useless. Furthermore, some of the credit-monitoring services do not even provide a great deal of efficacy in identity theft protection, as they do not consistently and effectively detect illegitimate account openings. There are other forms of identity theft protection offered by identity theft services, such as fraud alert, which should prevent any transaction from going through until your identity is officially verified for each one. But just as with credit-monitoring, fraud alert sometimes works, and sometimes doesn't; its effectiveness is not consistent enough to be concretely recommended. In terms of the future of identity theft protection, many are speaking of using biometric information in order to set up stronger, less breakable blocks in the way of identity theft. Fingerprints, for instance, could likely add another layer of security to general identity theft protection, and while not unbreakable, would help make any given person's identity perhaps just that extra bit safer. Unfortunately, however, there are issues with implementing such systems, both technologically and governmentally. Whether or not these systems violate the rights of citizens is still under debate, as such systems could easily be used to monitor citizens' whereabouts and thus breaking the implied right to privacy. 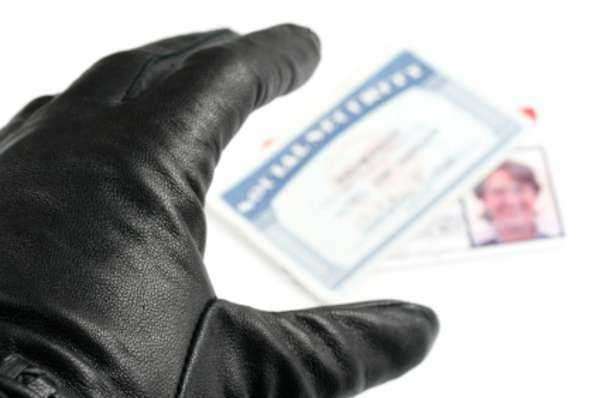 The best route available for identity theft protection is currently, and most likely will continue to be, constant, accurate judgment of your own finances, to look for any strange discrepancies. Nothing else is likely to be quite as effective as your own two eyes.